Exclusive from D’Kei–Jeweled Nails and Buttons. Capture the look and feel of earthen metals while adding a touch of excitement with colored jewel stones set in the nailhead. All items in the Jeweled Nail and Button Collection are available in 7 different color nailheads. These colored decorative nailheads will catch light and help your project explode with color and excitement. Add bling to your upholstery trim! 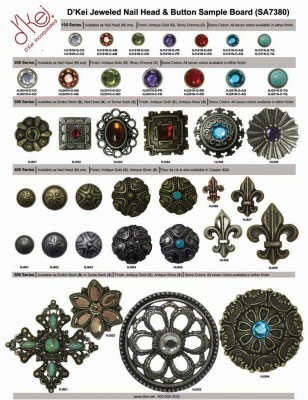 You select the stone color and finish, either antique gold or silver. Items are sold in small package quantities of 5, 10 or 25 per box. 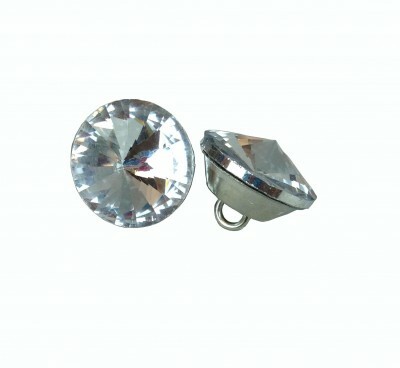 Larger items have a screwback adaptor and can be applied with either a woodscrew or button loop. 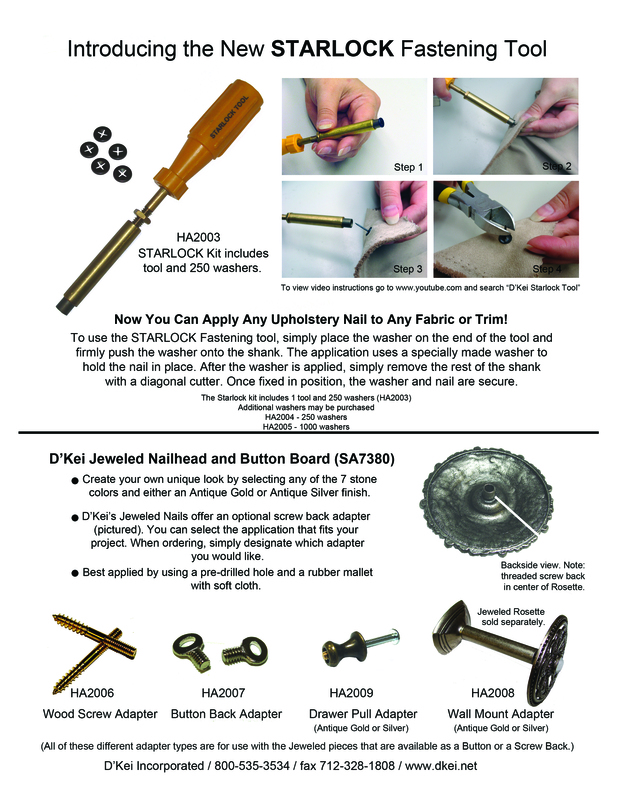 The new Starlock fastening tool allows you to fasten any jeweled upholstery tacks to soft treatments.